Phase II will be another testing phase within the Vegan Warriors Bootcamp. In comparison, it is not nearly as hard as Phase I. This is the blue phase because you will be eliminating poultry and fish out of your diet. If you have not joined the private Facebook group, join here. This private group is a community of supportive individuals whom are on the same journey to transition to a vegan diet. Also, we help each other stay accountable. 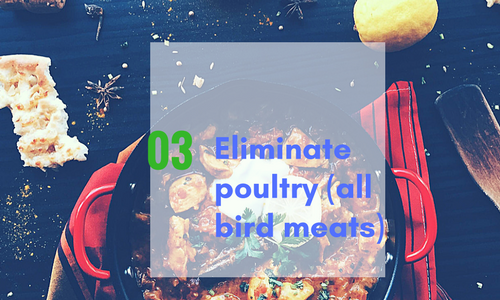 Eliminate poultry (all bird meats). Yay, you made it through Phase II. We will send you a prize for completing Phase II. Fill out the form here. Is your transition becoming easier? What were some challenges? Let's discuss in the Facebook private group.